AWS Case Study: Kyowa Hakko Kirin Co., Ltd.
Kyowa Hakko Kirin is a pharmaceutical company that manufactures and sells prescription drugs. One of its subsidiaries is Kyowa Hakko Bio, which markets and sells pharmaceutical materials, amino acids, etc. About 20 percent of the company's total sales are made outside of Japan. The company's goal, however, is to increase that percentage to 40 percent by 2020. In the midst of these changes, the company's IT departments need the flexibility to rapidly respond to new business situations. Kyowa Hakko Kirin first learned about the AWS Cloud in early 2011 after reading a magazine article about new businesses opening up in the Tokyo region. At that time there were few case studies on enterprise-level cloud usage; in particular, there were few cases in Japan where businesses were leveraging the cloud for their infrastructure needs. As the company started testing out the cloud, a variety of new services became available in the Tokyo region. One of those was Amazon Virtual Private Cloud (Amazon VPC), which launched in August 2011. Because Amazon VPC offered a dedicated private space within the AWS Cloud, it allowed Kyowa Hakko Kirin could to use the cloud in the same way it had been using its existing data centers. Amazon VPC was one of the principal reasons the company believed it could leverage the cloud for part of its infrastructure. 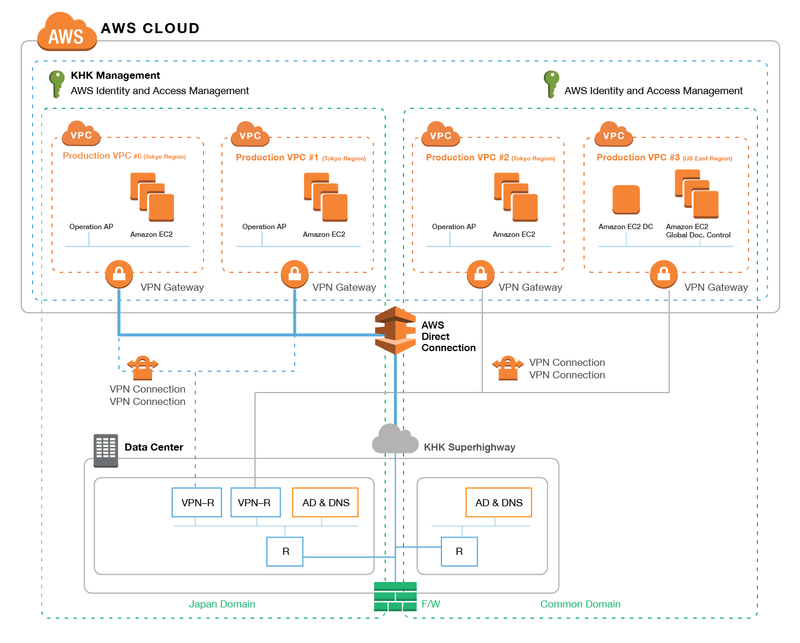 By the end of 2011, a whole array of products and services followed Amazon VPC, including AWS Direct Connect, which provided a dedicated connection between data centers and AWS. VPN and other related services, including AWS Identity and Access Management (IAM), enabled employees to access the cloud using corporate IDs. At the beginning of 2012, the company began migrating to full-scale cloud data center operations. As the company progressed toward full adoption, it needed buy-in from within the company, especially from leadership. The most convincing argument came from a white paper written by system integrators from several companies in Japan, who noted that financial-service companies using the AWS Cloud experienced practically no security incidents. Kyowa Hakko Kirin realized that if an industry as strictly regulated the financial services industry could operate on the cloud, then it could operate on the cloud safely and reliably as well. 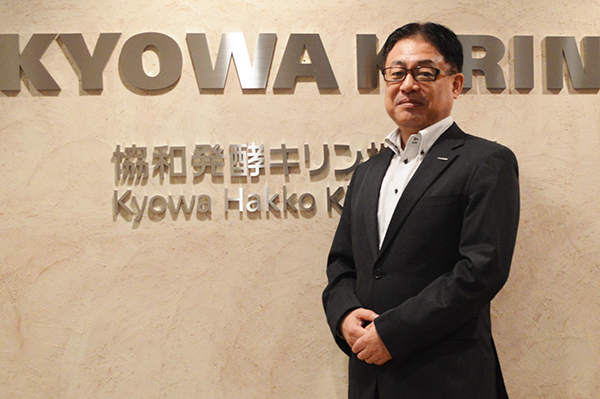 Working under the premise of an SAP ERP production run, Kyowa Hakko Kirin began developing the necessary operating procedures as it advanced toward AWS use in the fall of 2012. At the start of 2013, it began formal operation of the cloud data center within a completely private network in conjunction with its existing physical data center. With AWS, Kyowa Hakko Kirin was able to quickly and easily get its servers up for testing. The fact that doing so was inexpensive was very attractive. The company left the low-cost verification to its leads group, and there was no need to procure hardware. "One of the greatest factors in the growth of AWS throughout the company would have to be the passion it incites in our engineers," says Toshiyuki Shinoda, director of information systems. At present, Kyowa Hakko Kirin has 31 systems and 69 servers running on the AWS Cloud. As of September 2015, about 40 percent of the data from the company's physical data centers has been transferred to the AWS Cloud. Almost all of the transferrable data will be migrated within the next two or three years. Kyowa Hakko Kirin's shift to a cloud-first mentality has been affected not only by how much faster it can bring servers online, test them, verify them, and change resources when needed, but also by the reduction in costs due to moving to the cloud. "One example is our new ability to significantly cut costs associated with using reserved instances for systems that run 24/7. In addition, we have been able to achieve even greater cost reductions by fine-tuning a variety of things, including pulling together similar systems onto the same servers, halting instances that do not need to run on weekends, and powering down after performing backups, even on weekdays," says Shinoda. Kyowa Hakko Kirin migrates existing systems to the cloud whenever those systems need to be updated. The company has one core system in operation since its days of adopting a client/server model that it calls its ''Enterprise HUB.'' This system and the business systems connected to it are currently being migrated to the AWS Cloud. The Enterprise HUB stores transaction data from the business systems. The Enterprise HUB is connected in a loosely coupled format to the business systems that handle sales, logistics and sales support as a module. The module includes retail products, SaaS components, and products developed in-house. Model conversions within the internal logic for the module occur automatically. Since it is modular, swapping out business systems is easy. "Although we have nearly completed the migration of our core systems to the AWS Cloud, including the Enterprise HUB, one major reason for the comparatively smooth transition has been our base in this architecture," says Shinoda. ''One of the greatest factors in the growth of AWS throughout the company would have to be the passion it incites in our engineers." – Toshiyuki Shinoda, Director, Information Systems Department, Kyowa Hakko Kirin Co., Ltd.
"The migration of our business systems to the cloud is proceeding smoothly, so we have begun discussing adopting big-data services, such as Amazon Redshift and Amazon Elastic MapReduce (Amazon EMR), moving forward," says Shinoda. The company has already started testing implementation of Amazon Redshift. It seems both Kyowa Hakko Kirin and AWS grew over the same period of time: AWS launched operations in the Tokyo region and turned its attention to enterprise solutions at around the same time Kyowa Hakko Kirin began thinking about and working with the cloud. To learn more about using AWS as a life-sciences organization, visit the Life Sciences detail page. To learn more about SAP and AWS, visit the SAP detail page.